"Perfecting your skin and framing the windows to your soul is what I love to do,"
Get Your Botox & Juvederm Here! Available by appoinment only with Mark Gagnard, NP. Next Injectables Day is Monday, March 18th, from 10-6pm. Call to reserve your appointment. family, friends & clients for your trust, loyalty and another amazing year! 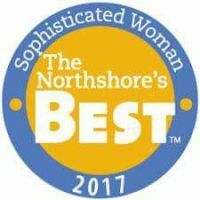 It is such an honor to be voted "The Northshore's Best" in Sophisticated Woman Magazine. This Korean Sculplla Treatment uses cutting edge technology to soften lines with dramatic results. It penetrates filler into the skin, WITH NO NEEDLES! Great for special occasions $100.